Whether you're a first-time investor or have been investing for many years, there are some basic questions you should always ask before you commit your hard-earned money to an investment. Researching brokers: Details on a broker's background and qualifications are available for free on FINRA's Broker Check website. What type of investment is right for me? Each investment comes with certain characteristics, risk levels and potential returns. Understanding your situation - risk tolerance, time horizon and specific goals - will make it easier to choose the right investment for you. If you are not sure who to contact or have any questions regarding checking the background of an investment professional, call the Wyoming Compliance Division at 307.777.7370 or contact us via email at Compliance@wyo.gov. Any offer or sale of securities must be registered or exempt from registration. Registration is important because it provides investors with access to key information about the company's management, products, services, and finances. Smart investors always check whether an investment is registered by contacting the Wyoming Compliance Division at 307.777.7370 or contact us via email at Compliance@wyo.gov. Many investment frauds are pitched as high return opportunities with little or no risk. Ignore these so-called opportunities or, better yet, report them immediately. Many successful investors follow this rule of thumb: Never invest in something you don't understand. 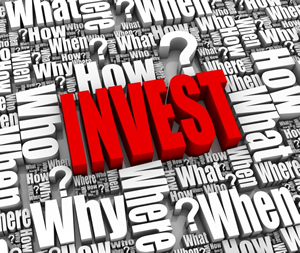 Be sure to always read an investment's prospectus or disclosure statement carefully. If you can't understand the investment and how it will help you make money, ask a trusted financial professional for help. If you are still confused, you should think twice about investing. Whether checking out an investment professional, researching an investment, or learning about new products or scams, unbiased information can be a great advantage when it comes to investing wisely. Make a habit of using the information and tools on securities regulators' websites. If you have a question or concern about an investment, please contact the Wyoming Compliance Division at 307.777.7370 or contact us via email at Compliance@wyo.gov.